In addition to Acupuncture, we offer a wide range of complementary therapies including massage, reflexology, nutrition, counselling, reflexology & more. Meet our team of experienced acupuncturists & complementary health practitioners. Appointments are available from 8am-8pm Monday-Friday & Saturdays by arrangement. Whatever your reason for looking for treatment we will help you find the right treatment and practitioner. As well as an experienced, professional Acupuncture team, we offer a wide range of complementary therapies. Want to find out more? You can have a free 15 minute chat with any of our therapists without obligation. Call us now on 01926 450990 to book or email us at: info@trad-ac.co.uk. We ensure all of our practitioners are fully qualified, insured & regulated by a governing body. 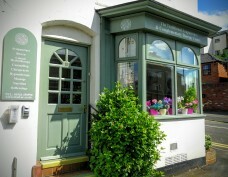 Founded over 20 years ago, the clinic's team offer years of treatment experience & expertise. Finding the right practitioner for your health aims or condition is vital. Our knowledgeable reception staff will be able to advise you on all treatments & free 15 min consultations can be booked with any practitioner.